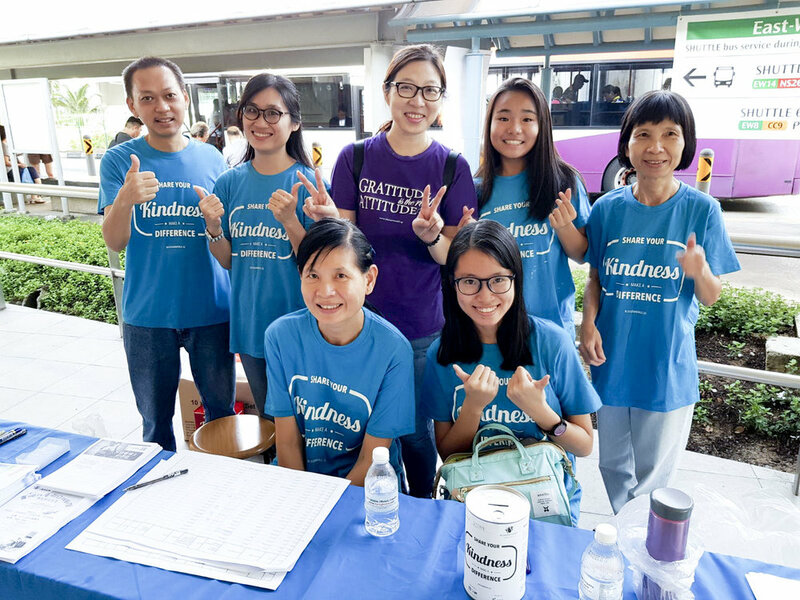 'Share Your Kindness, Make a Difference', the slogan on the tins you carry and the blue t-shirt you donned. Living up to the slogan, all of you have embarked on your journey to make the society a more gracious one :) Congratulations to all volunteers! We sincerely appreciate the time you have forked out on 21st April to help us in this fundraising exercise. We have 888 tins filled with love by the hardwork of our tin bearers. Inherently, Flag Day may be a fundraising activity. However to us, it is also a way to plant seeds of kindness in our community to create the ripple effect. 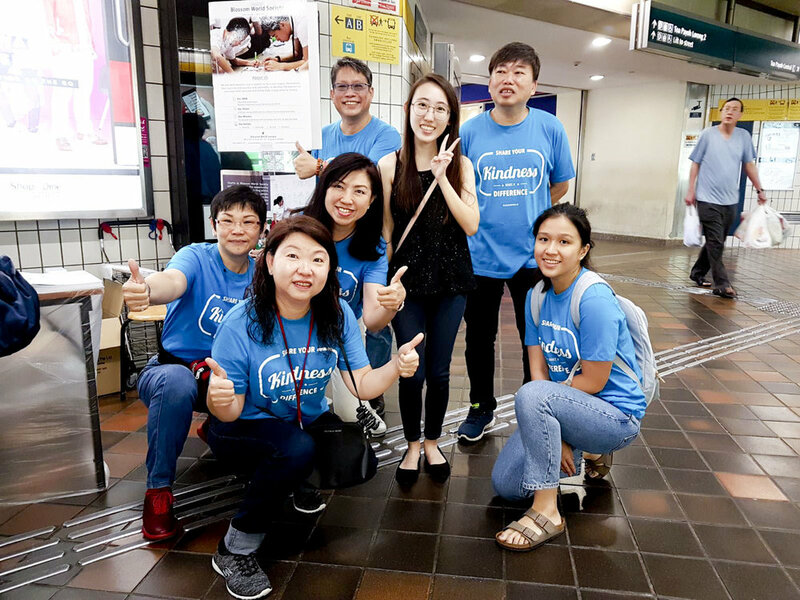 As the cliche saying goes 'teamwork makes the dream work', the combined efforts of you volunteers, donning our t shirt and spreading the word of Blossom World Society while raising funds made Flag Day a successful one! 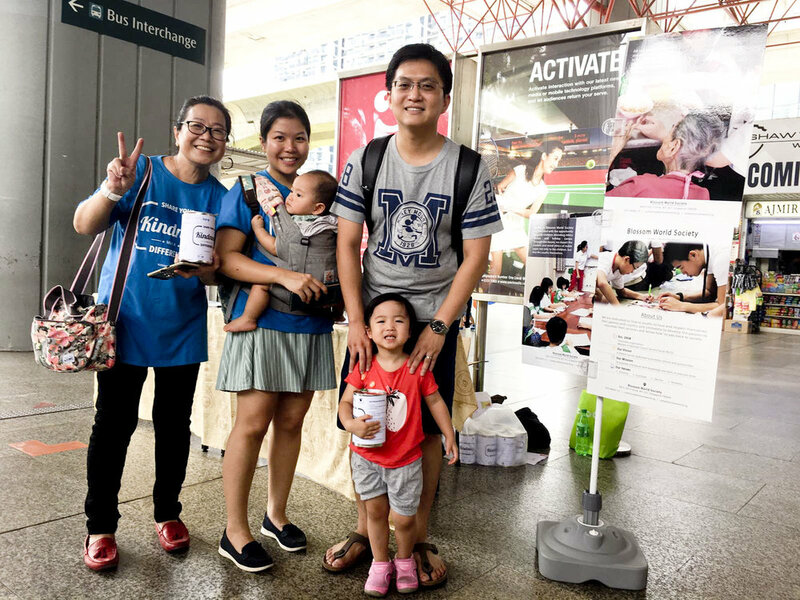 We definitely wish that we can inspire and influence more people in the community to believe in the virtue of kindness and walk this journey with us to co-create a gracious Singapore.